“Spiderman: Into the Spider-Verse” is an innovative animation film based on the Spiderman stories. The film is produced by Sony in collaboration with Marvel. Miles Morales, an Afro-Latino middle school student from Brooklyn, New York, gets bitten by his own radioactive spider when he and his uncle Aaron (Mahershala Ali) paint graffiti on a subway wall. Miles returns to the place where the spider bit him to discover Peter Parker (Chris Pine), the original Spider-Man, fighting in a collider located underground. When Peter Parker passes through the interdimensional portal that the collider creates, multiple spider-people from other universes come to Miles’ Universe. 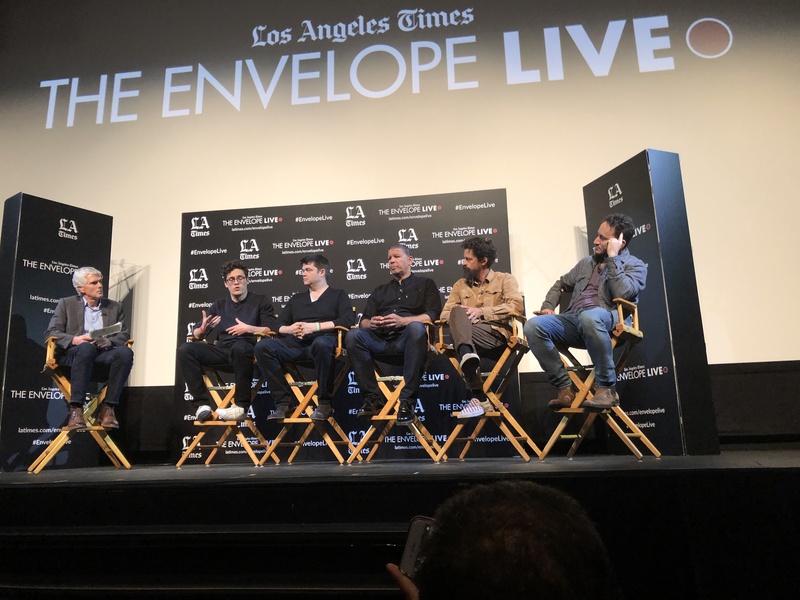 The Los Angeles Times hosted a screening of “Spiderman: Into the Spider-Verse” for their Envelope Live event in late January. After the movie was screened, directors Peter Ramsey, Rodney Rothman and Bob Persichetti, as well as producers Chris Miller and Phil Lord talked on a panel with L.A. Times reporter Jeffrey Fleishman. Audience members resonated with this point. Isabella, who attended the event and asked to be referred to by her first name, also resonates with Miles and his story. Writing and directing a movie was a learning experience for the directors. “Once we started to make the movie more open-hearted, it just started to work better,” Rodney Rothman said. Those making the movie also found that, even in animation, silence can convey just as much emotion as dialogue. Those who made the movie also resonated with the characters in the movie. Audience members felt touched by the way even the moviemakers related to the characters. Other people at the screening found it interesting that the producer’s and director’s diverse backgrounds were all used when making the film.